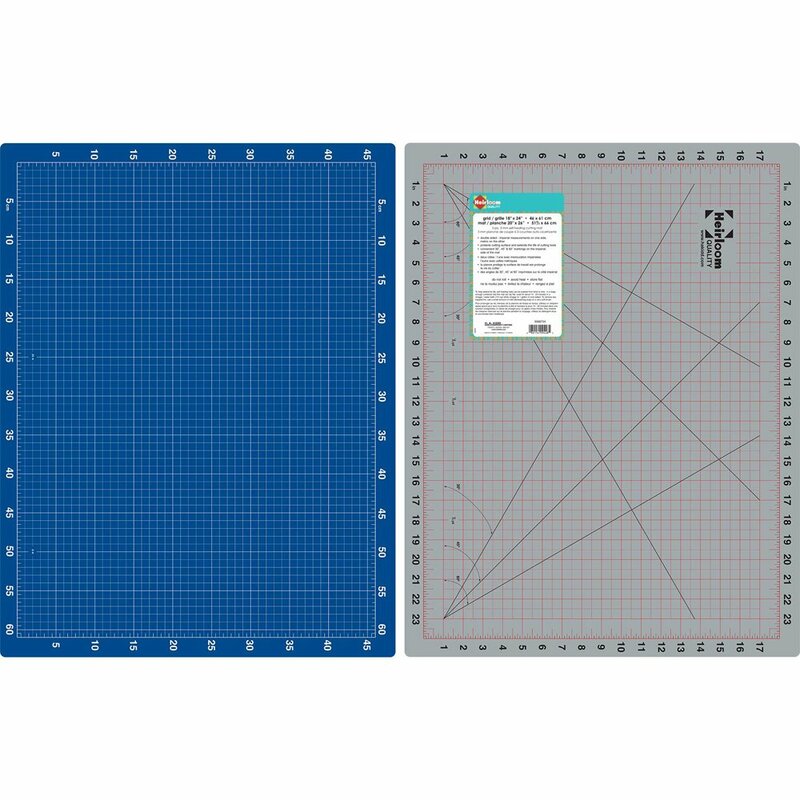 Home > Notions > Cutting Mats > HEIRLOOM Double Sided Cutting Mat - 18" x 24"
HEIRLOOM Double Sided Cutting Mat - 18" x 24"
Double-sided mat. Side 1 is a grey mat with lines and black angle markings with imperial measurements. Side 2 is blue with white lines and metric measurements.